Repeated Concussions, Keep Your Children Safe. In addition to a healthy diet, one of the most effective approaches to keeping children and teens healthy is to encourage regular physical activity. For many children, that activity takes the form of organized sports. For others, it means biking, skateboarding, or a pick-up game of street hockey. Now that you have your children out on the field, the court or the bike path, there’s another issue to consider—preventing sports injuries. As a both physician and a parent, it’s a topic that’s important to me. What risks do our children face? School-aged children experience more than 4 million sports or recreation-related injuries each year. According to a recent study published in the American Journal of Sports Medicine, the type of sports injury a child experiences depends on his or her age. The study’s authors note that to date, there have been few studies of sports injuries in the young child, while there are a growing number of 5 to 12-year-olds taking part in organized sports that they may not yet have the physical readiness and coordination to participate in safely. The study found that younger children had more traumatic injuries, such as broken bones, and that the majority of these injuries affected the upper extremities. They also experienced more spine injuries than the 13 to 17-year-olds in the study. Another study found that over a third of school-age children will sustain an injury while playing organized sports that is serious enough to require the care of a nurse or doctor. The most commonly injured body parts were the ankle and knee, followed by the hand, wrist, elbow, shin and calf, head, neck and clavicle. 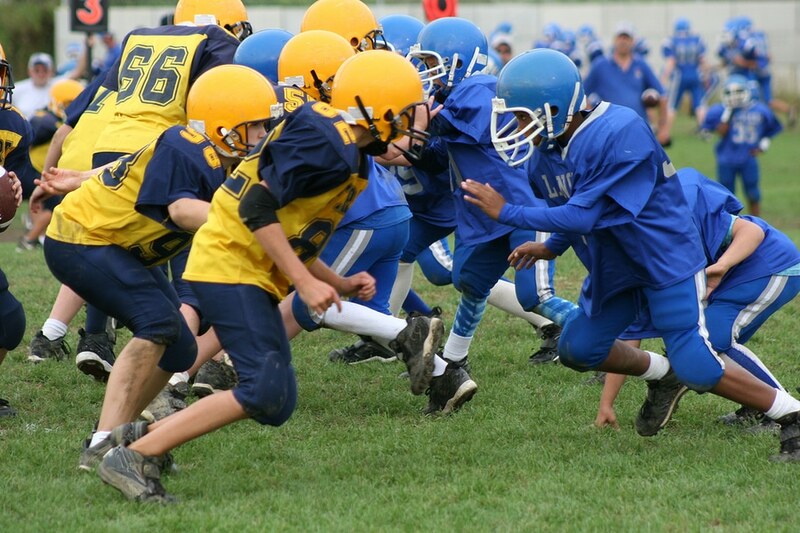 Between nearly 1 and 1.5 million sports-related concussions occur in children and teens each year. One researcher recently published a study with results that suggest these brain injuries may lead to a number of emotional and behavioral problems in the months after the concussion. Another study found a connection between repeated concussions and prolonged recovery, with symptoms lasting as long as 35 days for children and teens who had two concussions within a year. The child takes a baseline test, the results of which can be used for comparison if the child later sustains a head injury. If the child is injured, he or she takes the test again, the results are compared to the baseline, and the information is used by the child’s physician to develop a concussion management plan and determine when it’s safe for the child to return to play. Have them undergo a pre-participation exam with a qualified healthcare professional. Make sure equipment fits properly and is in good condition. Check the coach’s qualifications and make sure there is someone who is first aid and CPR certified at all practices and games. There should also be automated external defibrillator equipment (AED) readily available and a person trained in its use. Check that play surfaces are well maintained and safe. Make sure your child knows how to play the sport and takes part in warm-ups before practice or games. Don’t let an injured child return to play until a physician says it’s safe.